A lawyer since 1978, Mr. 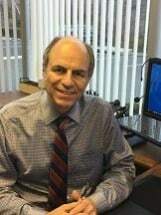 Shore has dedicated his practice exclusively as a Social Security attorney in Oceanside for 20 years. Mr. Shore has represented doctors and lawyers, but also members of the working class. His primary focus as a Social Security attorney in Oceanside is on the local community, but he has clients in the adjacent counties of Orange and Riverside, as well as in Nevada and Arizona. David Shore's focus on one area of law means that he has the ability to stay current on legal issues and has a deep understanding of SSA matters. He will give your claim the attention it needs to ensure you have the best chances of a favorable outcome. You may have a mental or physical impairment that prevents you from working, but that alone does not automatically qualify you for disability benefits. Your Social Security attorney in Oceanside will explain that a very specific procedure must be followed. Often, claimants are denied benefits multiple times. It is imperative to appeal any denial and ultimately arrive at the stage of hearing before an Administrative Law Judge, at which point a Social Security attorney in Oceanside can be invaluable.